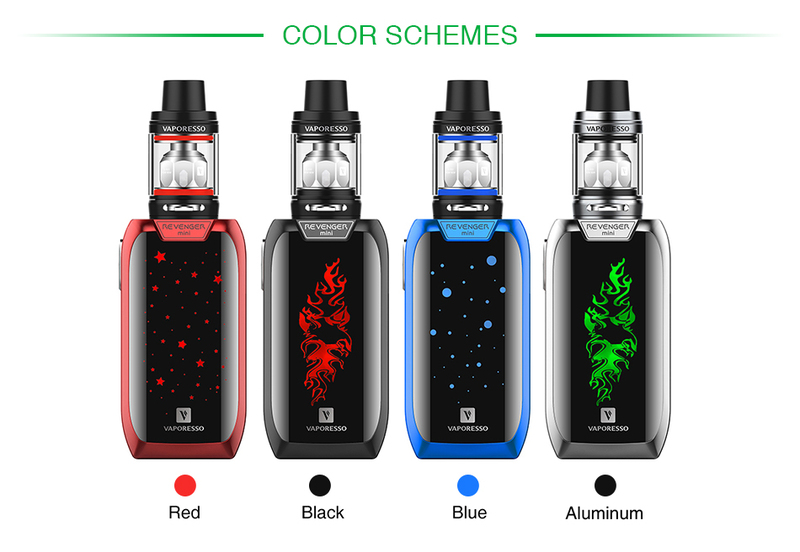 The Vaporesso Revenger Mini is a new member of the Revenger series with unique lighting pattern. The compact Revenger Mini has a built-in 2500mAh battery with max 85W output power. Powered by the latest OMNI 2.2 board, it offers a variety vaping modes with a user-friendly UI. It also supports max 2.5A fast charging. And the NRG SE tank adopts slide-n-fill design, adjustable bottom airflow and interchangeable GT cores. User will enjoy a great flavor and vapor production. 4 colors.